This is an introduction into the 1st Grade Math Course. This video goes into detail on what the student will learn, tools that will be used, and the benefit of these lessons. In this lesson, the student will learn and practice counting numbers 1-10. They will see how to use a ten frame, number line, and objects to count to 10. This is a review video that show how to complete the practice for numbers 1-10. Students will be introduced addition. They will use ten frames, number lines, pictures, and tally marks to add one to numbers 1-10. This video reviews the practice for Adding 1. It explains and shows how to work through it. Students will be introduced to Subtraction. They will learn how to subtract one from numbers 1-10 using a ten frame, number line, pictures, and fingers to count the difference. This video reviews and explains how to complete the practice for subtracting 1. Students will learn about addition and subtraction facts that equal 6. They will also learn that in these facts, they will use the same numbers in different orders. Fact families will be introduced to help them understand this concept. This video reviews and explains how to complete the practice for Facts of 6. Students will learn facts up to ten in this lesson and what fact families are. This will help build a strong base in their addition and subtraction skills. This video reviews and explains how to complete the practice for Facts to 10. Students will get to expand their knowledge on addition and subtraction with this practice. The more they are able to apply what they have learned, the easier it will be to retain the addition and subtraction facts. This can be accomplished through the lesson video and resource that is attached. This video is a review over the practice for this lesson. It will help guide and explain how to complete the practice for additional subtraction practice. This lesson introduces students to comparing numbers. 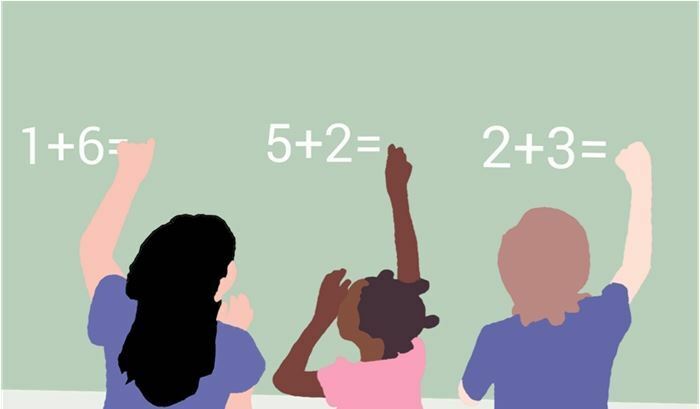 They will learn how to determine if a number is greater or less than, how to order multiple numbers from least to greatest and greatest to least, while also looking at the number's place value. This video is a review over the practice for this lesson. It will help guide and explain how to complete the practice for comparing numbers. Students will understand how to sort objects and shapes into groups. They will also learn how to order numbers from greatest to least and least to greatest. This is builds off of the skills they learned in the comparison lesson. They are continuing to compare numbers, shapes, etc., but they are now grouping and ordering them. This video is a review over the practice for this lesson. It will help guide and explain how to complete the practice for ordering and sorting. This is learning that there is an order for numbers whether they are counting by 1s, 2s, 3s, etc. This video is a review over the practice for this lesson. It will help guide and explain how to complete the practice for sequencing numbers. Students will be tested over their understanding and recognition of numbers 1-10, which includes addition and subtraction facts within ten. This test will be more verbal than written because students at this phase of first grade are just being asked to recognize, identify, order, and add/subtract numbers 1-10. In this lesson, the student will learn and practice counting numbers 1-20. They will see how to use a ten frame, number line, and objects to count to 20. This video is a review over the practice for this lesson. It will help guide and explain how to complete the practice for numbers 1-20. In this lesson, the student will learn and practice counting numbers 21-100. This video is a review over the practice for this lesson. It will help guide and explain how to complete the practice for numbers 21-100. This is a lesson over even and odd numbers, and how to recognize them. This is a review over the even and odd practice. Students will skip count by twos, fives, and tens to determine the total number of objects up to 100 in a set. This video is a review over the practice for this lesson. It will help guide and explain how to complete the practice for counting by 2s, 5s, & 10s. Students will identify U.S. coins, including pennies, nickels, dimes, and quarters, by value and describe the relationships among them; write a number with the cent symbol to describe the value of a coin; and use relationships to count by twos, fives, and tens to determine the value of a collection of pennies, nickels, and/or dimes. This video is a review over the practice for this lesson. It will help guide and explain how to complete the practice for counting money. Students will use measuring tools to measure the length of objects, and illustrate that the length of an object is the number of same-size units of length. They will also describe a length to the nearest whole unit using a number and a unit. This video is a review over the practice for this lesson. It will help guide and explain how to complete the practice for measuring with non-standard units. Students will learn that containers have an amount that they can hold. Also, they will learn that so many of one size may fit into a bigger size. This video is a review over the practice for this lesson. It will help guide and explain how to complete the practice for capacity. Students will learn that objects have a weight. They will also learn to compare objects weights, and decide which one is heavier or lighter. This video is a review over the practice for this lesson. It will help guide and explain how to complete the practice for mass. Students will distinguish between two-dimensional or three-dimensional figures and create two-dimensional figures, including circles, triangles, rectangles, and squares, as special rectangles, rhombuses, and hexagons; identify two-dimensional shapes, including circles, triangles, rectangles, and squares, as special rectangles, rhombuses, and hexagons and describe their attributes using formal geometric language. They will also compose two-dimensional shapes by joining two, three, or four figures to produce a target shape in more than one way if possible. This video is a review over the practice for this lesson. It will help guide and explain how to complete the practice for 2 Dimensional Shapes. This video is a review over the practice for this lesson. It will help guide and explain how to complete the practice for the shapes sort. This is a comprehensive test over Unit 2. Students will be introduced to a compass with Cardinal Directions. They will use these directions to interpret the map. This video is a review over the practice for this lesson. It will help guide and explain how to complete the practice for directions. Students will be able to identify three-dimensional solids, including spheres, cones, cylinders, rectangular prisms (including cubes), and triangular prisms, and describe their attributes using formal geometric language. This video is a review over the practice for this lesson. It will help guide and explain how to complete the practice for 3D shapes. Students will understand a thermometer and how it represents the temperature. They will use the thermometers to compare temperatures. This video is a review over the practice for this lesson. It will help guide and explain how to complete the practice for temperature. Students will use cardinal directions to locate items on a grid. This is a comprehensive test over Unit 3. Students will learn to identify the pattern, and be able to complete it. This video is a review over the practice for this lesson. It will help guide and explain how to complete the practice for patterns. Students will collect, sort, and organize data in up to three categories using models/representations such as tally marks or T-charts, and use data to create picture and bar-type graphs. This video is a review over the practice for this lesson. It will help guide and explain how to complete the practice for organizing data. Students will use the graph to interpret information and then answer questions using the data. This video is a review over the practice for this lesson. It will help guide and explain how to complete the practice for pictographs. Students will use the graph to understand information and answer questions about it. This video is a review over the practice for this lesson. It will help guide and explain how to complete the practice for concrete graphs. Students will understand and use probability to know how likely it is that something could happen. This video is a review over the practice for this lesson. It will help guide and explain how to complete the practice for probability. Students will understand and use calendar information. They will be able to identify how many days are in a week, month, and year; how many weeks are in a month and year; and the names of the days of the week and months of the year. This video is a review over the practice for this lesson. It will help guide and explain how to complete the practice for calendar skills. Students will show their understanding of section 4's material through this assessment. It will be comprehensive and cover information learned in this section including: patterns, organizing data, pictographs, concrete graphs, probability, days, weeks, months, and time. This “1st Grade Math” video course covers all of the content that students need to be successful in completing 1st Grade Math. The course focuses on building the base of the student’s mathematical knowledge and building their foundation. It covers the required math standards, but also goes below the surface so that students can understand what they’re being taught. This is a full year of 1st Grade Math. Once this course is completed, students will be able to recognize numbers 1-100, be able to add and subtract, identify and complete patterns, and determine types of shapes. They will also be able to organize data, read and interpret maps, directions, concrete graphs and pictographs. This video-course is primarily for 1st Grade students and those that need to strengthen their foundation of Mathematics basics. Students taking this course will not need to have completed any courses before taking this one. Adding and Subtracting Facts to 6. Adding and Subtracting Facts to 10.